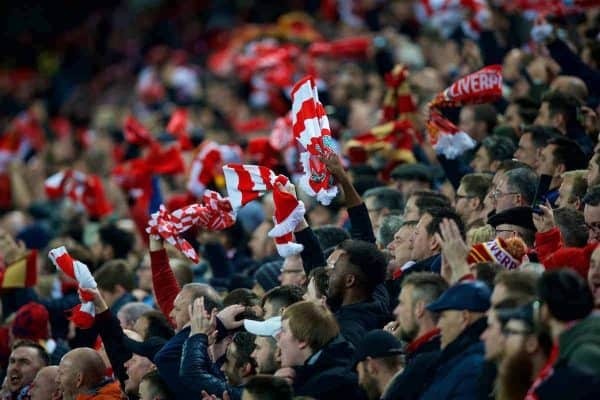 Liverpool supporters’ group Spirit of Shankly has again voiced the frustrations of travelling fans over scheduling uncertainty for next month’s trip to West Ham. The Reds are currently set for a 8pm kickoff at the London Stadium on Monday, February 4, but this could still be moved depending on the Hammers’ fate in the FA Cup. Already having been rescheduled for broadcast on Sky Sports, this weeknight game ensures little opportunity for fans to travel down to Stratford and back up, if aiming to fulfil working obligations. But this could yet change again, with West Ham taking on AFC Wimbledon in the fourth round of the cup on January 26. If Manuel Pellegrini’s side draw in that initial tie at the Cherry Red Records Stadium, and therefore a replay is required, Liverpool’s away clash will then be rescheduled to 12pm on Sunday, February 3. This will give supporters attending the game just one week to potentially rearrange travel, accommodation and time off—which, for many, may prove impossible. Given the regular issues faced by fans when it comes to fixtures being moved to suit the demands of Sky and BT, this only serves as another mark of indifference from the powers that be. “Once again football’s loyal fans have been given zero consideration by the game’s authorities and the very broadcasters who depend on that support to create an atmosphere to make their show a success,” SOS wrote. 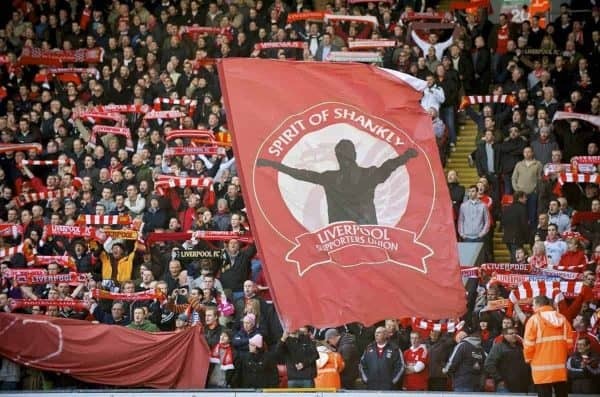 “Spirit of Shankly believe all match dates and times should be immovable once published and that supporters should be receiving adequate notice of fixtures. Fans first, not TV schedules and profit. SOS are right to express their disdain at how little their fellow supporters—and those nationwide—are regarded for their ongoing commitment. Their assertion that atmosphere is paramount to broadcasters to “make their show a success” is apt, and unfortunately it may that without a boycott, or similar, these messages will continue to fall on deaf ears.